Product version: v1.3.15, last updated: August 5, 2018. 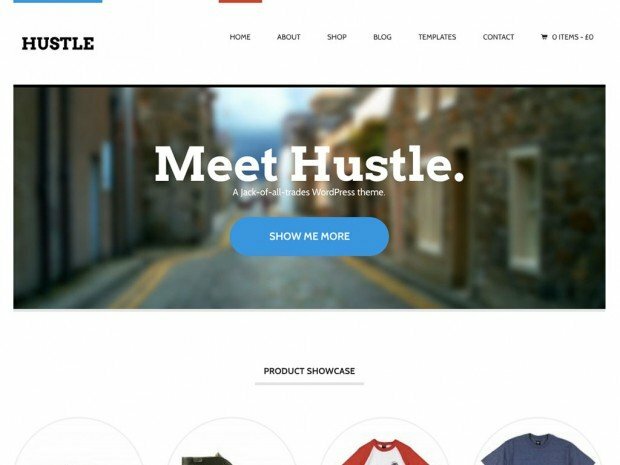 Hustle is a WooCommerce Themes developed by Woothemes. Hustle WooCommerce Themes provides you freshly designed, open and responsive business, blogging and store theme with a featured slider. Hustle have minimalist design, this themes will make your porduct more high class. Hustle WooCommerce themes also 100% mobile friendly.